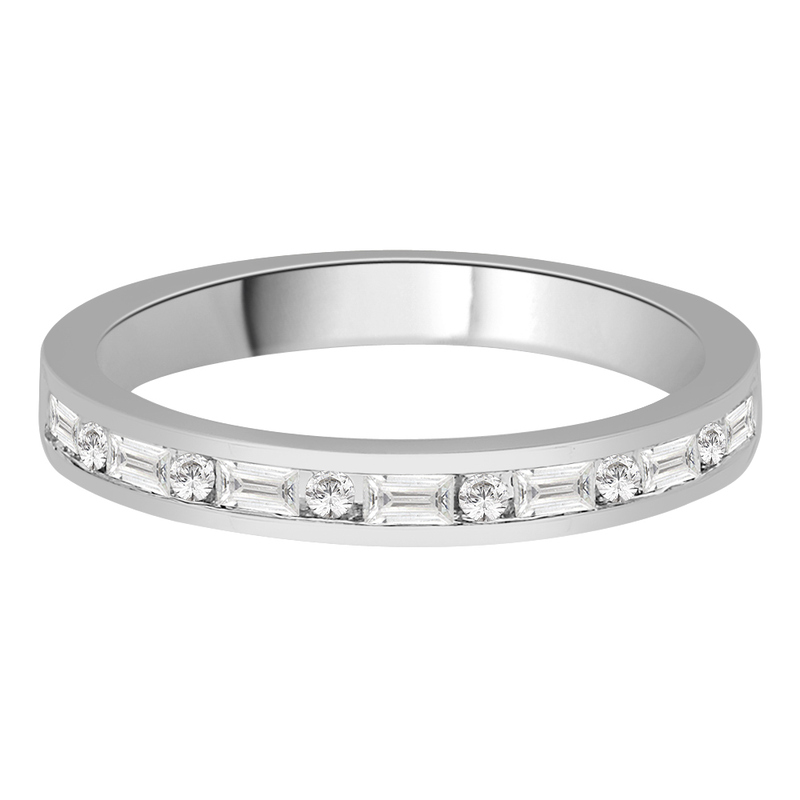 This Unique Diamond Channel Set Half Eternity ring is set with round brilliant cut diamonds as well as baguette cut diamonds. 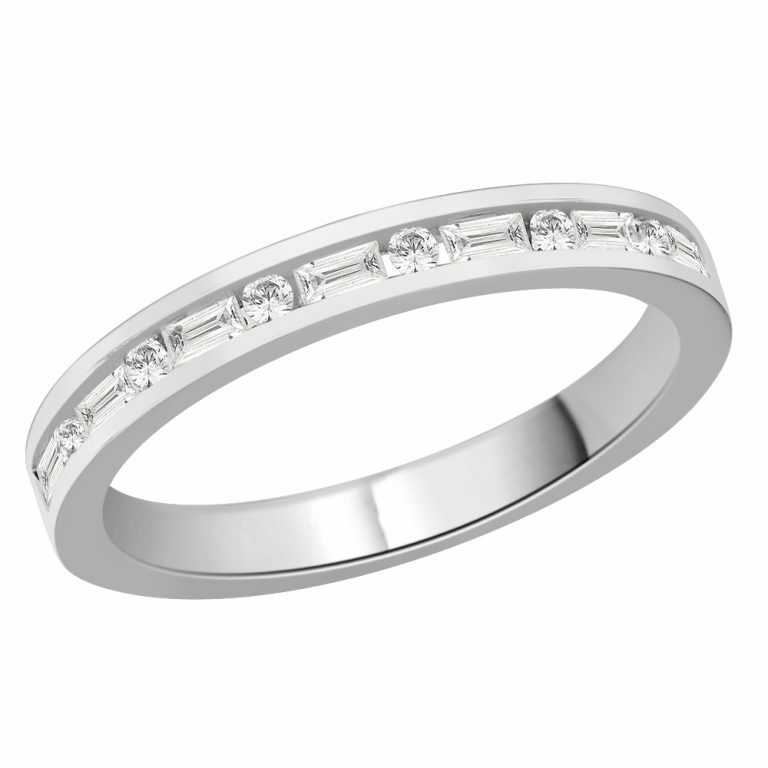 Total diamond weight for this ring is 0.27ct and all diamonds are of SI clarity and G-H colour. 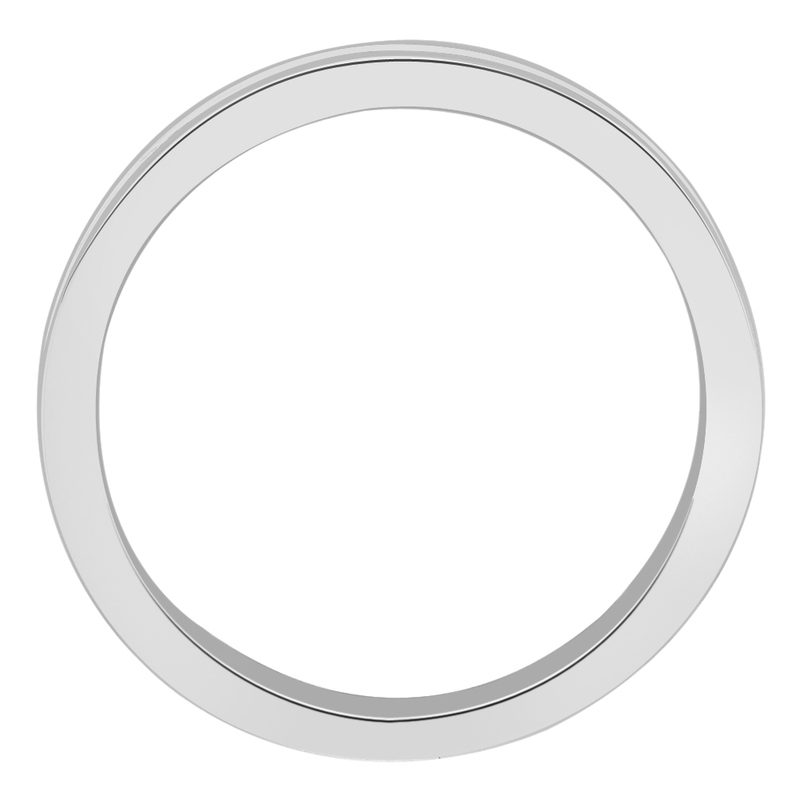 This ring is made to order and takes approximately 2 weeks.